So your bird is in the oven, roasting away, and you’re left with a vacuum sealed bag of poultry body parts – what are you going to do with these? 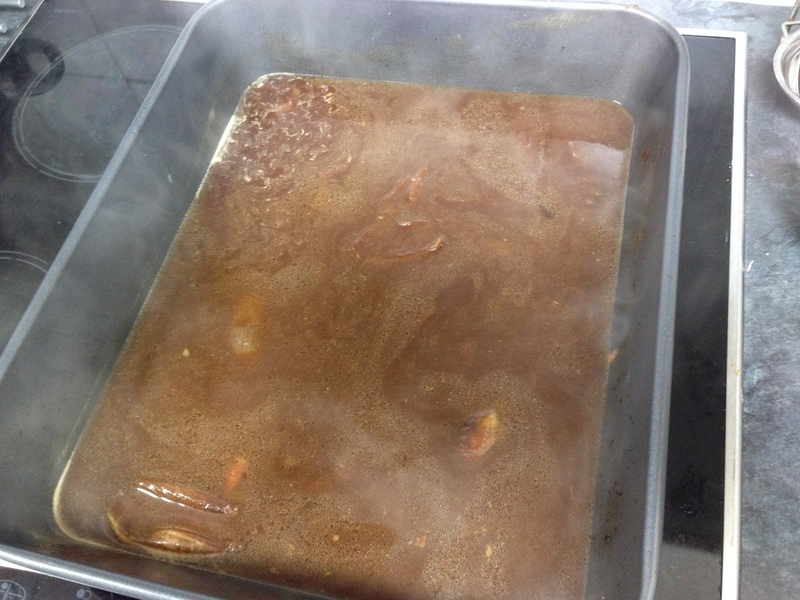 Make a great stock for your gravy, of course. First of all you have to establish whether or not you want to include the liver. I don’t like the flavour of liver, and I know I’m not alone. To be honest, I don’t like offal of any kind, but the flavour of the liver can really dominate a giblet stock so if you’re not partial, you’ll need to identify it and pull it out. Apparently it makes a good pate, if you’re into that kind of thing. Personally I’d give it to the dog or cat as their christmas dinner! At this point you can choose to add a little ‘something extra’ to enriched the gravy, such as a glass of marsala, cream sherry or port – entirely optional!